Photograph of Sidney Ey taken March 2018. Sidney Ey was born on the 29th May 2016. He grew up in Gawler and has spent most of his life in the town. He served as a stretcher bearer during World War 2 in many theatres of that war. 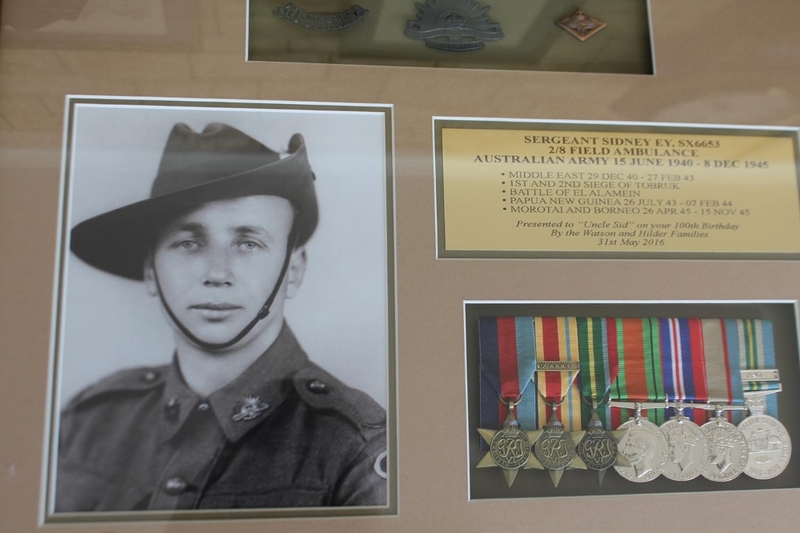 As of 2018 he is one of the few surviving "Rats of Tobruk". Sergeant Sidney Ey. Image provided by Sid Ey March 2018.